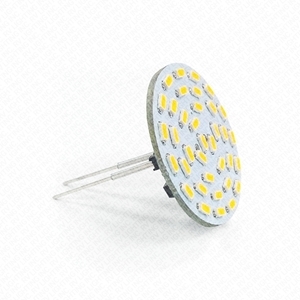 LED Light Bulbs | RV Lighting Inc.
Dimmable universal LED replacement light bulb, with 36 SMD 3014 LEDs on round PCB and miniature wedge connector (T10) on the side, including an additional single contact bayonet base (BA15S) with swivelling feature. 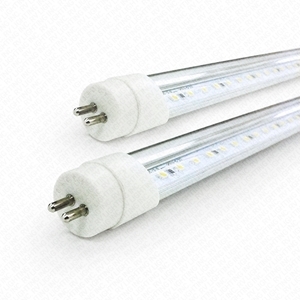 For details and specifications, see below. Dimmable LED G4 replacement light bulb adapted for restrictive areas, with 12 SMD 5050 LEDs on round PCB and bi-pin connector for G4 base on the back. For details and specifications, see below. 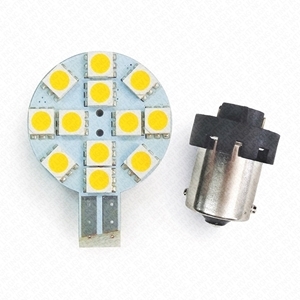 Dimmable LED G4 replacement light bulb adapted for restrictive areas, with 36 SMD 3014 LEDs on round PCB and bi-pin connector for G4 base on the back. For details and specifications, see below. 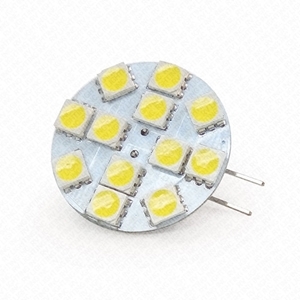 Dimmable LED G4 replacement light bulb, with 12 SMD 5050 LEDs on round PCB and bi-pin connector for G4 base on the back. 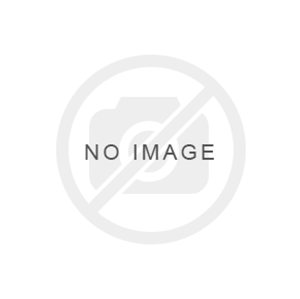 For details and specifications, see below. 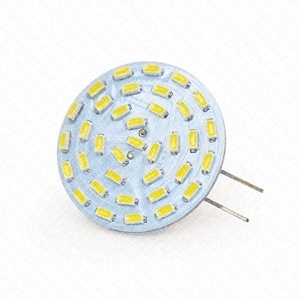 Dimmable LED G4 replacement light bulb, with 36 SMD 3014 LEDs on round PCB and bi-pin connector for G4 base on the back. For details and specifications, see below. 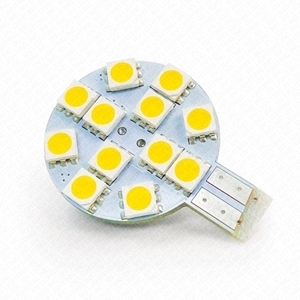 Dimmable LED replacement light bulb, with 12 SMD 5050 LEDs on round PCB and miniature wedge connector (T10) on the side. For details and specifications, see below. 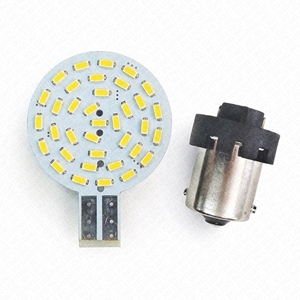 Dimmable LED replacement light bulb, with 36 SMD 3014 LEDs on round PCB and miniature wedge connector (T10) on the side. For details and specifications, see below.